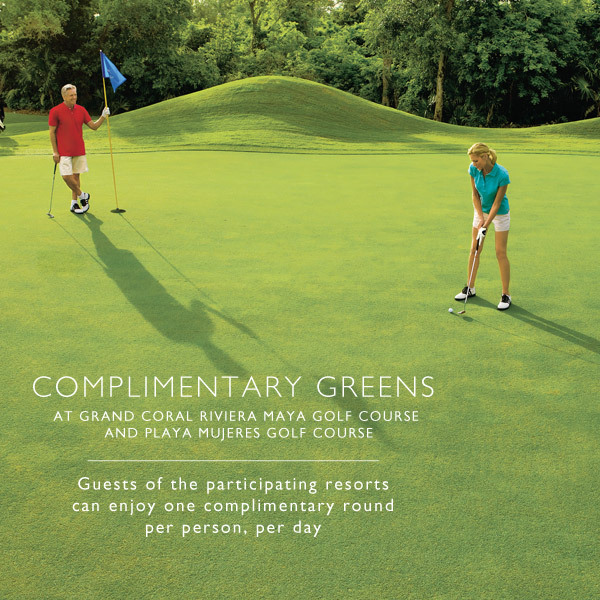 Enjoy Complimentary Golf Fees at Secrets Playa Mujeres! If you’re planning a vacation to Secrets® Playa Mujeres, get ready to tee off down the fairway with complimentary greens fees and free transportation to and from the club house. Read on to hear about how you can putt your way into the perfect golf getaway. Gorgeous greens at Secrets Playa Mujeres. Extra! Extra! Secrets Maroma Beach and Secrets Playa Mujeres featured on ExtraTV! We’re always humbled and honored to see our name in lights! This #TravelTuesday, we’re so thrilled to share a recent segment from ExtraTV on Secrets Maroma Beach Riviera Cancun and Secrets Playa Mujeres Golf & Spa Resort! Thanks to ExtraTV for featuring Secrets Maroma Beach Riviera Cancun and Secrets Playa Mujeres Golf & Spa Resort! Check out the full segment here! Summer Blog Series- Why is Golf Grip so Important? 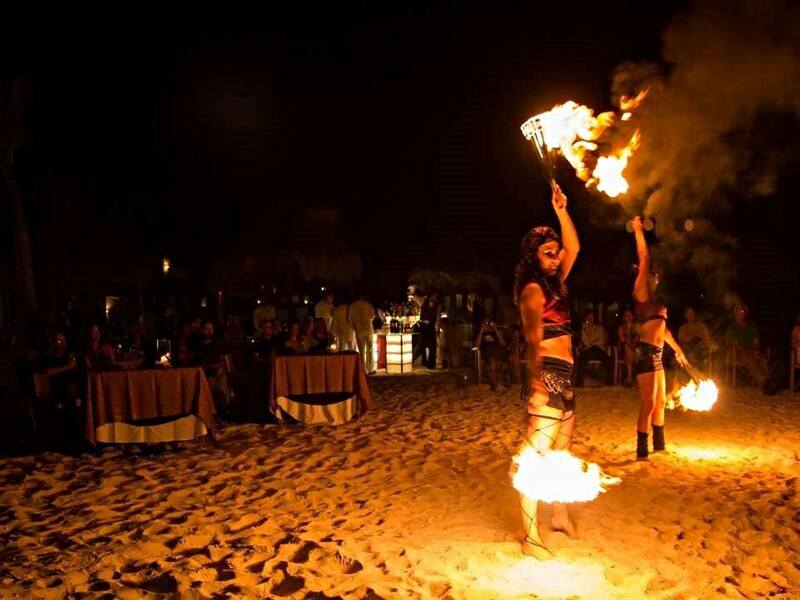 Today on the blog we have the pleasure of featuring a guest blog post by the Secrets Playa Mujeres Golf & Spa Resort e-concierge, Cristian Diaz! Thank you very much for visiting us for another installment of our beginner golf summer blog series! I decided to start this second chapter with a couple of tips on the fundamentals of the game. Summer Blog Series – Tee off with Secrets Playa Mujeres! 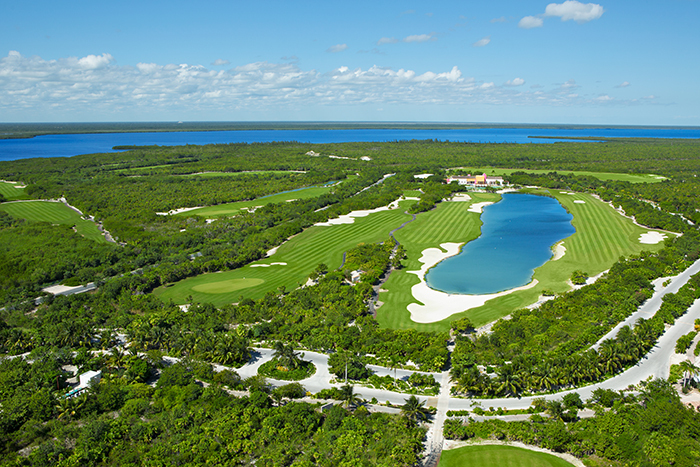 The stunning golf course at Secrets Playa Mujeres Golf & Spa Resort. Tiger Woods, birdies, clubs, holes in one: these terms sum up pretty much everything I used to know about golf. “Happy Gilmore” and “The Legend of Bagger Vance” were the closest I ever came to the “Gentleman´s Game,” but there was always a little something pushing me to learn more about golf. My name is Cristian Diaz, and I’m 25 years-old. I was born and raised in Cancun, Mexico, known for its famous white sand beaches and as one of the principal tourism destinations in the world. We have many golf courses in the area, but it wasn’t until 2007 that golf actually got my attention when Cancun made golf history by becoming the first location to host a PGA tour event outside the United States and Canada. I had the opportunity to attend to the PGA tour final which was the exact moment that I decided I wanted to learn how to play. Whether you have friends that encourage you to play, play for business or have a significant other you’d like to play with, there are many good reasons to learn this game. If you’re interested in learning golf and you are planning a visit to Cancun or the Riviera Maya, you must read my “golf for beginners” series that I am happy to bring to the Tan Lines blog this summer! Here’s what we are going to do: over the next 3 months I will be playing a round of golf 4 times a week, twice with our instructor Jaime, and twice by myself. I will then share the details of my experience so that when you visit a golf destination, you will be able to enjoy this sport as much as I do at our Playa Mujeres Golf Course. Patience (This game is not easy). Golf can seem terribly complicated to a beginner. So many rules, so many different kind of clubs and those words that we’ve never heard before like birdies, bogeys and bump-and-runs. At Golf Digest, this may be the language they speak every day, but it’s also a language that can scare prospective golfers off before they ever pick up a club. My goal is to shepherd you through this unexplored world! What kind of clubs do you need? How do you practice? When do you know that you’re ready for the golf course? The way I see it, the only dumb questions about getting started in golf are the ones you’re afraid to ask, or worse, the ones for which you can’t find an answer. The whole point of this guide is to make sure that last part is no longer a problem. Come Experience the All-New Secrets Playa Mujeres! In just over a month, the newest member of the Secrets family, Secrets Playa Mujeres Golf & Spa Resort, will be officially open to guests! Set along the famous white sand beaches of Playa Mujeres and a mere 10 minutes north of Cancun, this brand new all-suite resort will raise the bar on adults-only luxury. 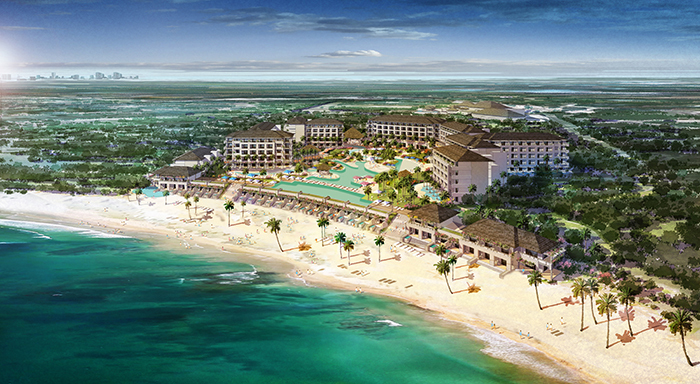 Secrets Playa Mujeres will open its doors November 15, 2014 to offer an Unlimited-Luxury® escape in a privileged location. Secrets Playa Mujeres Golf & Spa Resort will offer incredible ocean views paired with the highest level of luxury in an adults-only setting. Unlimited-Luxury® is more than just a phrase–it’s a commitment to fulfilling your every wish and exceeding your expectations at every turn. 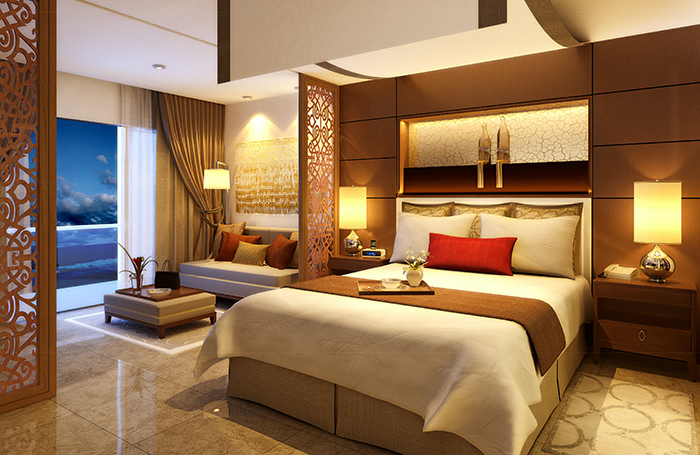 It includes every amenity you’d expect from a world-class destination and so much more! At Secrets Playa Mujeres, these amenities include elegant accommodations with stunning views, gourmet dining at eight gourmet restaurants, choice of mood-setting turn-down service, complimentary mini-bar refreshed daily, unlimited premium drinks at six bars and lounges, endless day and nighttime activities and entertainment and so much more! Keep the party going well in to the night at Secrets Playa Mujeres Golf & Spa Resort’s Desire Music Lounge. With Unlimited Connectivity, guests can stay connected with friends and family while at Secrets Playa Mujeres. Download the Secrets Resorts & Spas app to receive free WiFi throughout the entire resort and free calling to the US, Canada and local Mexican land lines. 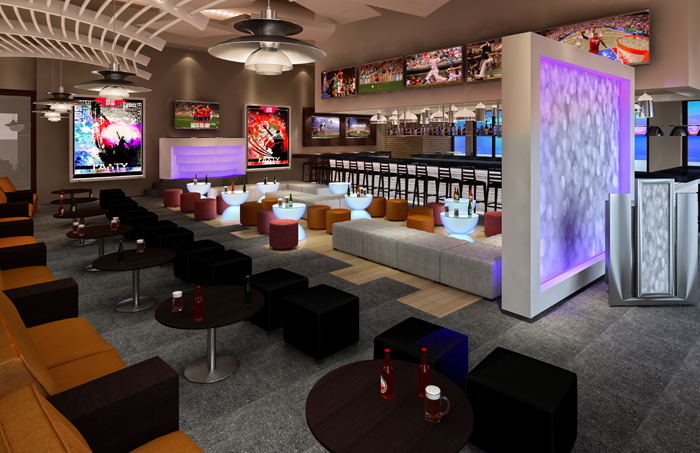 Unlimited Connectivity users will also be able to view daily activity and entertainment schedules, access dining menus and restaurant times and book spa appointments. Every suite at Secrets Playa Mujeres Golf & Spa Resort features a beautiful view. From the moment you wake, your days and nights at Secrets Playa Mujeres are filled with nearly endless opportunities. From beach walks and yoga to snorkeling and championship golf, the choices are all yours! There are two sparkling swimming pools with stunning views and an expansive, sugar-white beachfront to make you feel truly in paradise. Stay as busy as you like with cooking, cocktail and Spanish classes, weekly theme parties and even on-site shopping! Are you ready for your escape to Secrets Playa Mujeres Golf & Spa Resort? Like us on Facebook for your chance to win some fabulous prizes! One winner will be chosen at each of the following fan milestones: When we reach 2,500 and 5,000 fans, we will give away a Secrets Playa Mujeres Fan Pack. At 7,500 fans, we will give away an Apple iPad Air. Once we reach 10,000 fans, one lucky Facebook fan will win a 5-night stay for two with airfare to the all-new Secrets Playa Mujeres Golf & Spa Resort! Like us here for your chance to win! It’s another beautiful Beach Thursday at Secrets Resorts & Spas! With the warm breeze blowing, ocean waves gently lapping against the sand and sunlight streaming down all around, we have just about everything–except you, of course! Check out some of our favorite recent Secrets beach photos and imagine yourself as part of these stunning scenes. Luckily for you, there’s never been a better time to book your trip. With Free Fall, book by September 30th for travel now through December 24th and every 3rd night of your stay is on us, plus you’ll get up to $400 in resort coupons! You could be spending Beach Thursday at your home away from home sooner than you think! 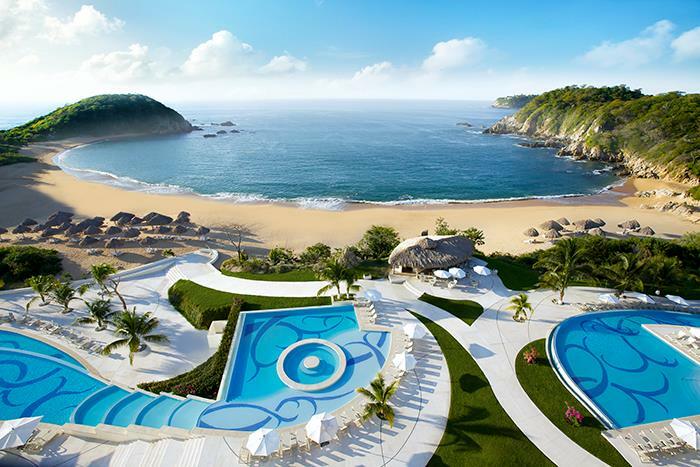 This is what paradise looks like at Secrets Huatulco Resort & Spa. If you’re only hitting the beach during the day, you’re missing half the fun at Secrets Capri Riviera Cancun! 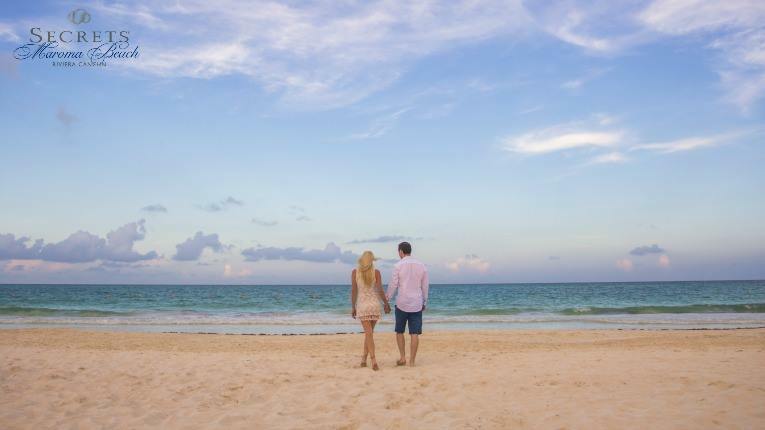 At Secrets Maroma Beach Riviera Cancun, love is simply strolling hand in hand with that special someone along one of the most beautiful beaches in all of Mexico. 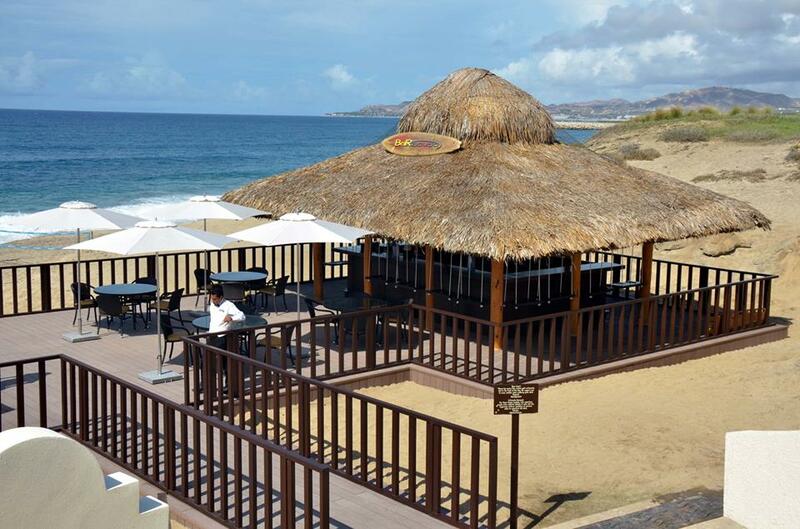 Bringing the bar straight to you at Secrets Puerto Los Cabos Golf & Spa Resort. 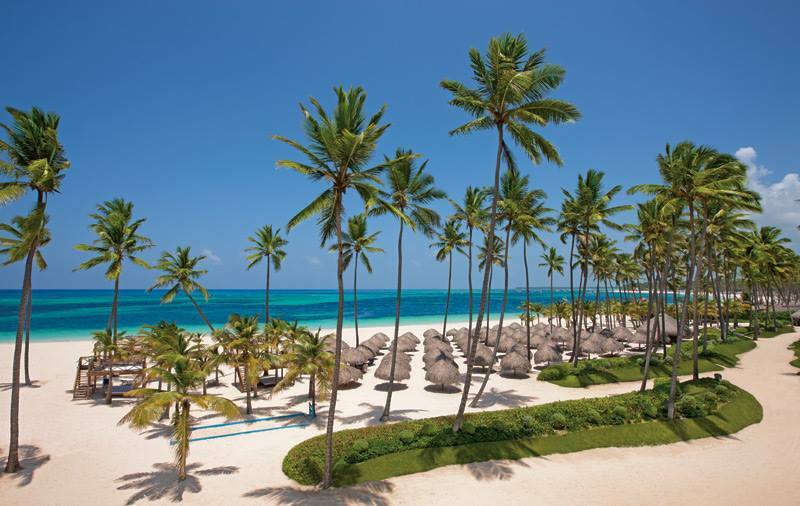 Are you ready for your tropical escape to Secrets Royal Beach Punta Cana? 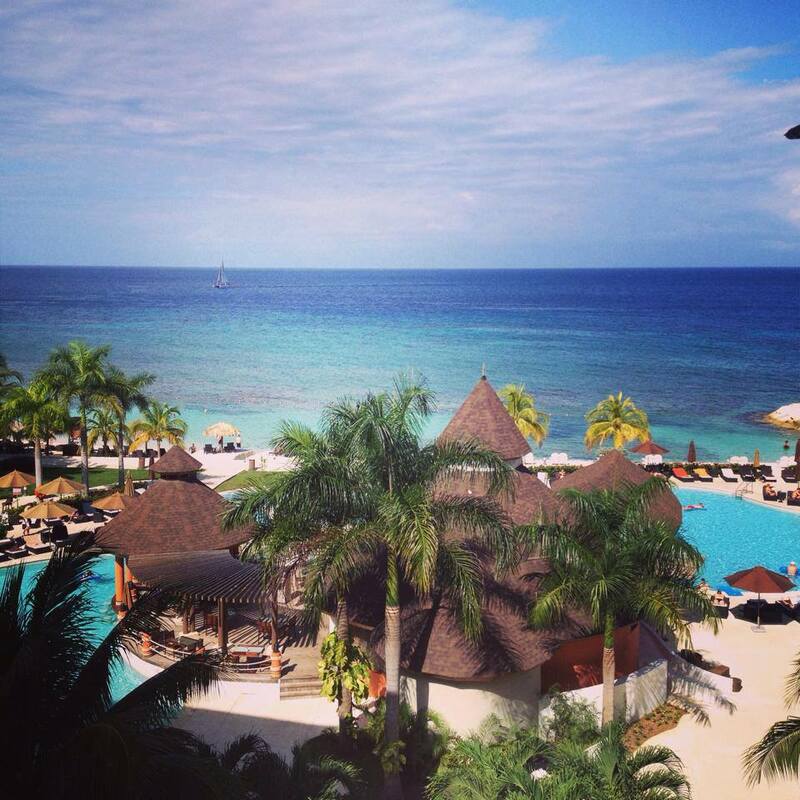 Vibrant colors make Secrets Wild Orchid Montego Bay a perfect Jamaican holiday. Calling all golfers: considering a vacation to Mexico? Guests at select Secrets Resorts & Spas can hit the links at world-class courses each day of their stay, sans greens fees. Guests staying at Secrets Maroma Beach Riviera Cancun, Secrets Capri Riviera Cancun and Secrets Silversands Riviera Cancun can receive complimentary greens fees at the renowned Grand Coral Rivera Maya course. This magnificent 18-hole, 7,043-yard golf course was designed by PGA champion and golf-course designer, Nick Price, and offers golf pros and amateurs alike an enjoyable round, just steps away from the breathtaking Caribbean Sea. Guests staying at Secrets The Vine Cancun can also enjoy complimentary greens fees at Playa Mujeres Golf Club, an 18-hole Greg Norman signature course offering strategically placed holes and fabulous views amongst the natural flora and fauna. Reserve a tee time online or with the resort concierge. Can’t wait to see you on the green!